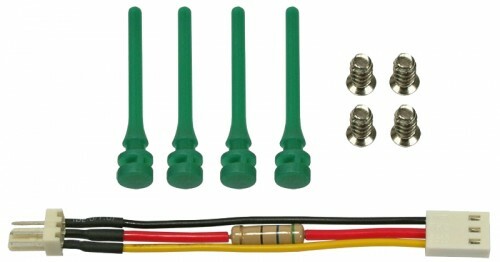 The 92mm model of the Deep Silence fan series is supplied with a 7 volt adapter cable. 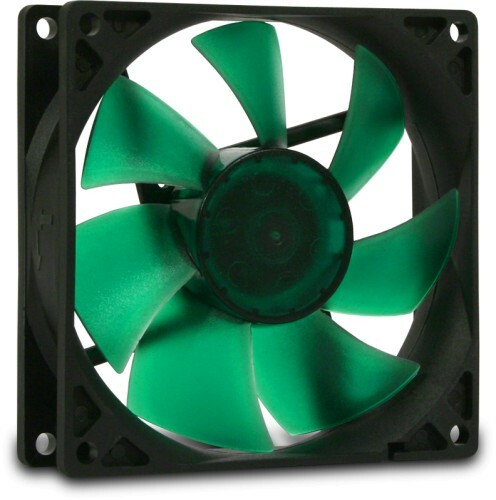 At 12 volts this fan rotates at 1,400 revolutions per minute. The Deep Silence 92mm generates air flow of 23.6 CFM at a noise level of 13.7 dB(A). Using the 7 volt cable reduces the speed to approx. 800 rpm, which generates air flow of 21.5 CFM at 7.2 dB(A).